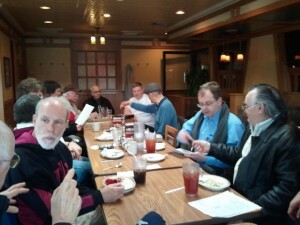 Saturday, April 13th, 2013, marked the Fort Wayne Inventors Club annual Pizza Hut meeting. We hold one of our meetings each year at the East State Pizza Hut location to say “Thank you” and give them some patronage back. East State Pizza Hut generously donates pizza each month for our club meeting. Thank You East State Pizza Hut!! We had a nice turnout for this meeting…Was it the Food? Location? Thought of Ending our Club Meetings? or better Weather? I don’t know, but the attendance definitely increased from our meetings the past few months. Around 17 people were in attendance. Some new ideas were introduced to the group and some familiar ones rehashed. We also had some first time attendees! 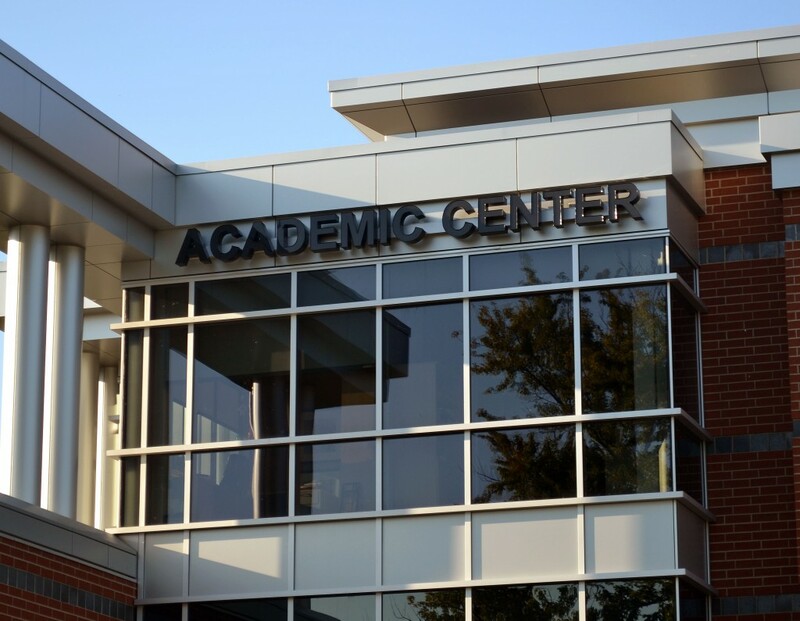 We welcome anyone interested in inventing. Photo Below: Sam Conte filling Dave Gross in on some new developments! Knowledge Base of People in this Group = PRICELESS! This entry was posted in Invention on April 14, 2013 by Admin.